The 30000 Series is a four-door commuter-type electric multiple unit designed by Tobu for multiple lines. single-axis master controller like those used on Tokyu trains. the Tobu Isezaki Line cannot handle 10-car trains. To form 10-car formations, these four and six car formations were combined with two driver's cabs facing eachother in the middle of the formation. This proved to be problematic on the Denentoshi Line, one of Japan's three busiest private train lines, because the amount of usable space in a 6 + 4 car formation is less than a regular 10-car formation due to the driver's cabs in the middle. 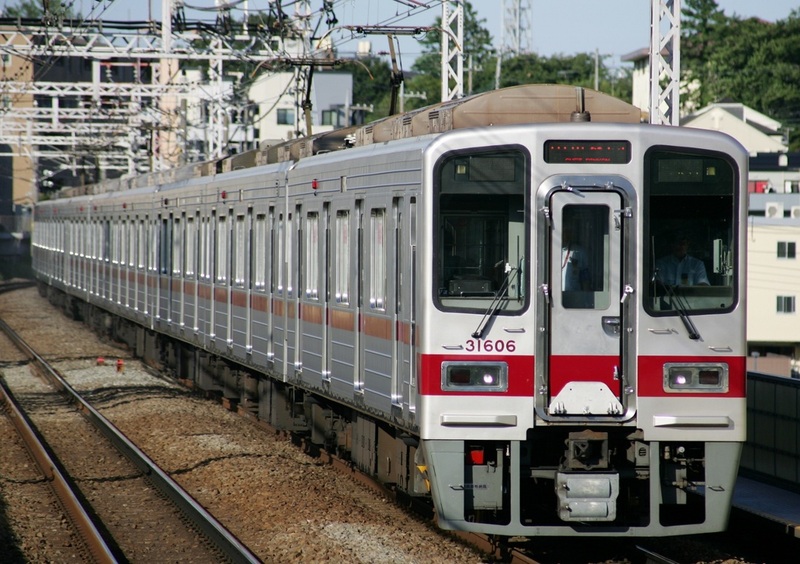 The 30000 Series trains are being replaced by Series 50050 trains in Denentoshi/Hanzomon Line direct service and are being moved to the above-ground train lines.